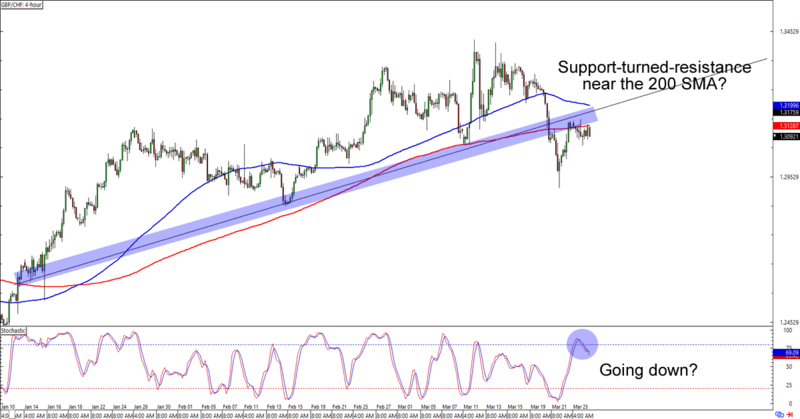 After breaking below a trend line that had held for most of Q1 2019, GBP/CHF is back to trading below the 1.3100 handle. What makes the level more interesting is that it lines up with the broken trend line AND it’s also near the 200 SMA on the 4-hour chart. Are we looking at a support-turned-resistance situation over here? A short trade at the earliest signs of bearish momentum is a good idea if you believe that the tides have turned for the pound. If you think that GBP/CHF will go back to its uptrend, though, then you could also wait for the pair to clear the 100 and 200 SMAs and put on your long trade orders instead. Whichever bias you choose to trade, make sure you practice good risk management in your trades! Guess who’s back, back again? USD/JPY may be no Slim Shady, but tell your friends that it’s back at the 110.00 major psychological handle! As you can see, the MaPs had been a significant support and resistance area in the past. And this time around, a low-key doji has popped up around the handle! The cherry on top of this sweet setup is an oversold Stochastic signal that just might attract enough bulls to attack. Buying at current levels could get you a sweet reward-to-risk ratio especially if you think that USD/JPY will make new 2019 highs after this retracement. 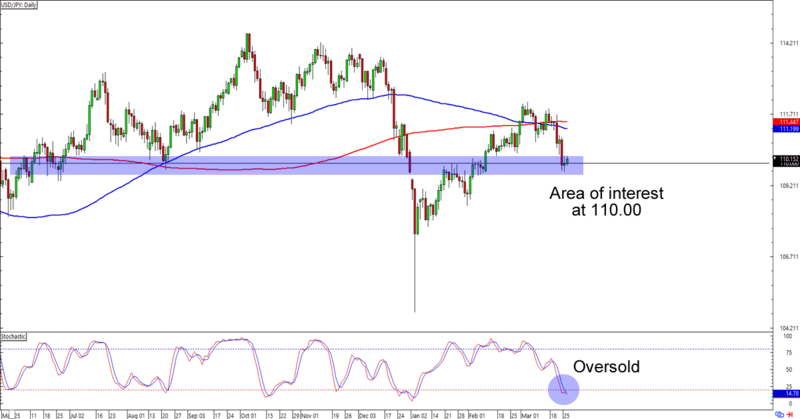 If you’re not convinced that the dollar will see another move higher, though, then you could also wait for the 110.00 support to break and aim for the previous lows near 108.85 or 107.75 instead. Watch this one closely, brothas!